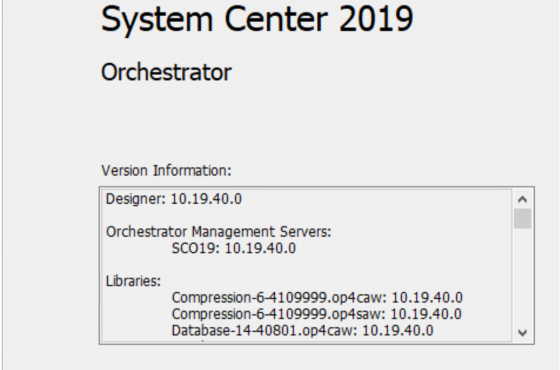 Microsoft released System Center 2019 and also provided upgrade information, in short: Uninstall the components of Orchestrator from the previous version, keep the Database, install System Center Orchestrator while using the existing Database from the previous installation. would have Runbook Server names specfied in the Database, that do not exist in the new enrionment. must also manange to move the database with the SQL Logins. cannot use there existing Deployment for new Windows Servers and must perform an in place upgrade of Windows. 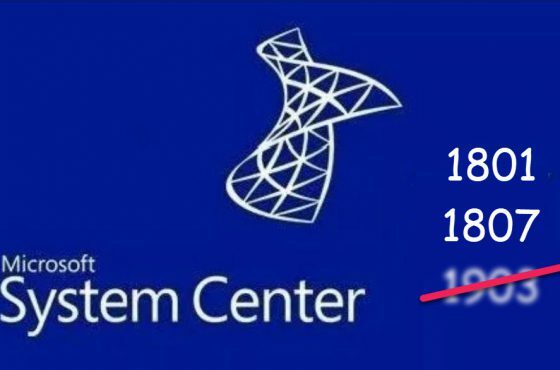 In the case you want also use new Windows Systems and/or new SQL Instance I recommend to install System Center 2019 Orchestrator in the new environment, export the Runbooks with Global Settings and Global Configurations from the existing enviroment and import all in the new enviroment. You can test the Activties and interfaces in the new enviromment while the existing environment is still online. You have a very short downtime if you activate the Runbooks in the new envrionment and deactivate in the previous environment. You can use your deployment workflows if you want have the system running on Windows Server 2019. You do not need to move the Database. You will loose the entries from previously deltetes Objects and Runbooks and have the Database mor „clean“. 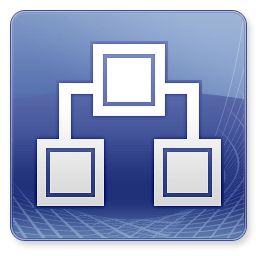 And if you are using the Runbooks in System Center Services Manager the Runbook Autmatiion Activity Templates must be changed to the Runbooks in the new enrionment. 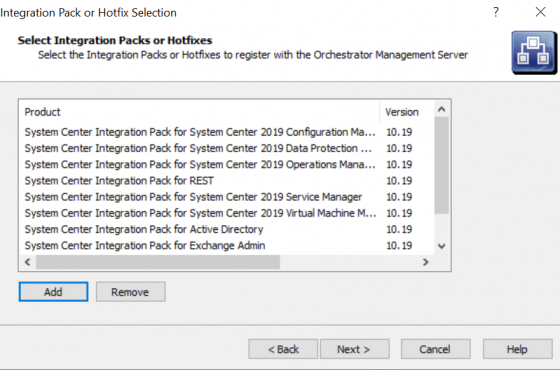 Make sure that all the used Integration Packs are installed and deployed in the new environment. The Integration Packs can have a new version if the new Versions have the same ProductID as the old ones. The Integration Packs provided by Microsoft have the same ProductID in all versions. Make a Full Export from all Runbooks including Global Settings and Global Configurations. Provide a password that the encrypted information will be exported as well. Restart the Runbook Designer of the new environment before starting the import to make sure that the need Integration Packs are installed there. Start the import including Global Settings and Global Configurations with the password for the encrypted information in the new environment. 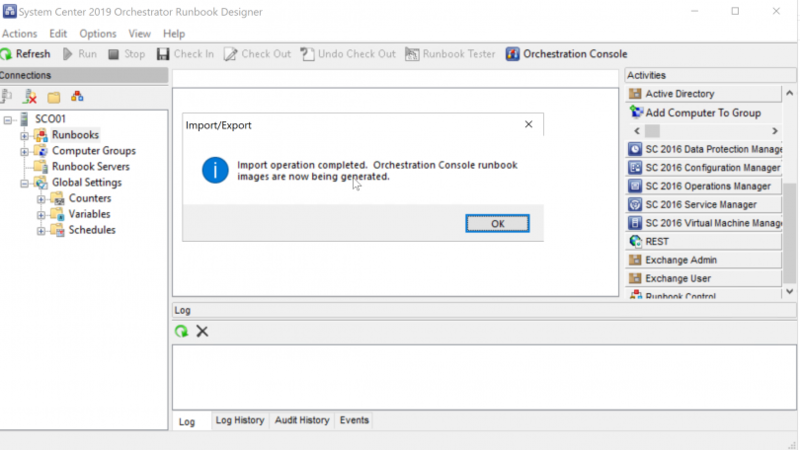 If you are using the Runbooks in System Center Services Manager change the Runbook Autmation Activity Templates to the Runbooks in the new evironment.